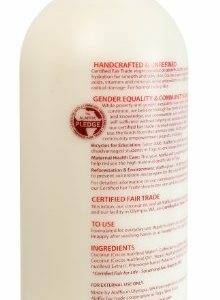 Our Certified Fair Trade virgin coconut oil absorbs quickly, providing light-weight yet deep hydration for smooth and silky skin. Coconut Water moisturizes and nourishes with essential amino acids, vitamins and minerals while the antioxidant-rich coffee berry extract helps to protect the skin from free radical damage. 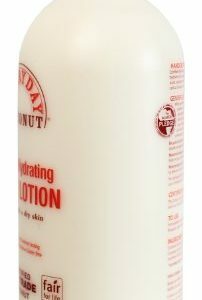 Refreshing , tropical and 100% natural – you will instantly love our Hydrating Lotion on your skin! 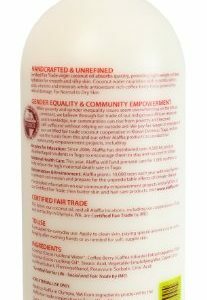 Our Certified Fair Trade virgin coconut oil absorbs quickly, providing light-weight yet deep hydration for smooth and silky skin. 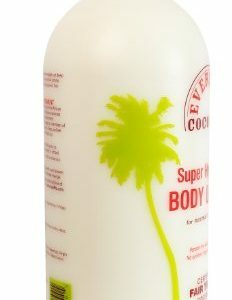 Coconut Water moisturizes and nourishes with essential amino acids, vitamins and minerals while the antioxidant-rich coffee berry extract helps to protect the skin from free radical damage. Suitable for everyday use for Normal to Dry skin type. Equality-Empowerment-Beauty. These are the three principles that Alaffia follows to not only bring customers the best natural, fair trade skin and hair care, but also to help relieve the cycle of poverty in Togo. Alaffia empowers West African communities to become sustainable through the fair trade of indigenous resources. We encourage empowerment through our community projects, our women’s cooperatives, and through education and involvement in our local customer communities. We firmly believe that the cooperation of people across the world is an essential part of building sustainability in all communities. 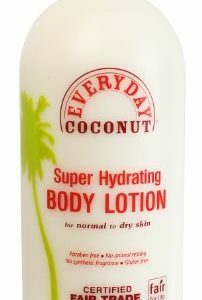 Suitable for everyday use for Normal to Dry skin type. Equality- Empowerment- Beauty. 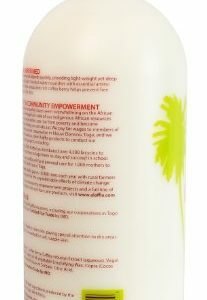 All sales of Alaffia products contribute to empowerment projects to help break the cycle of poverty in Togo.